China is a huge fertilizer import country. Yearly consumption is 2,800 MT, which is 21% of the world consumption. However, there is a quota system place on fertilizer import. Almost 1 billion farmers in China and about 95 million hectares land is under cultivation. Every farmer shared 0.04 acre by average. In order to keep high yield output, good and user-friendly fertilizer is a tomorrow star in the fertilizer market in China. 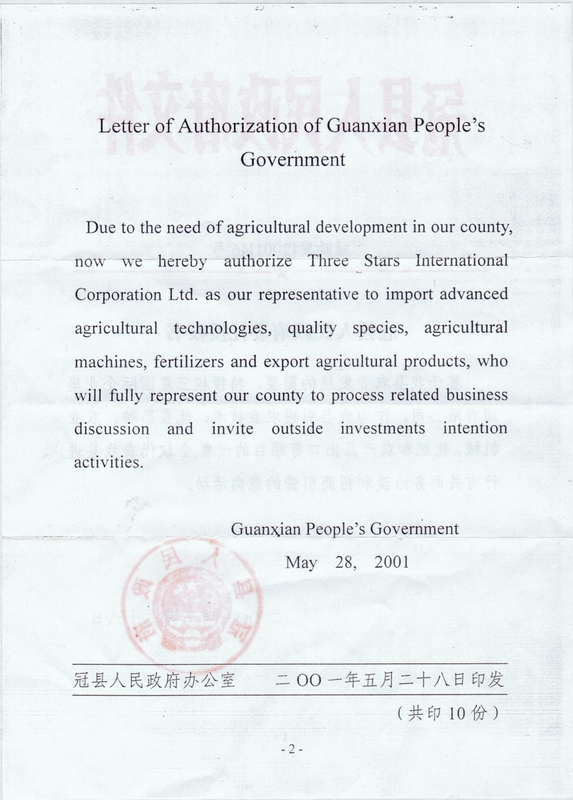 Our company therefore setup an agricultural development department, which cooperated with Guanxian County Government in 1996 We, Three Stars then represent Guanxian to import fertilizers, agricultural machines, fruit and vegetable seeds. And export agricultural products. 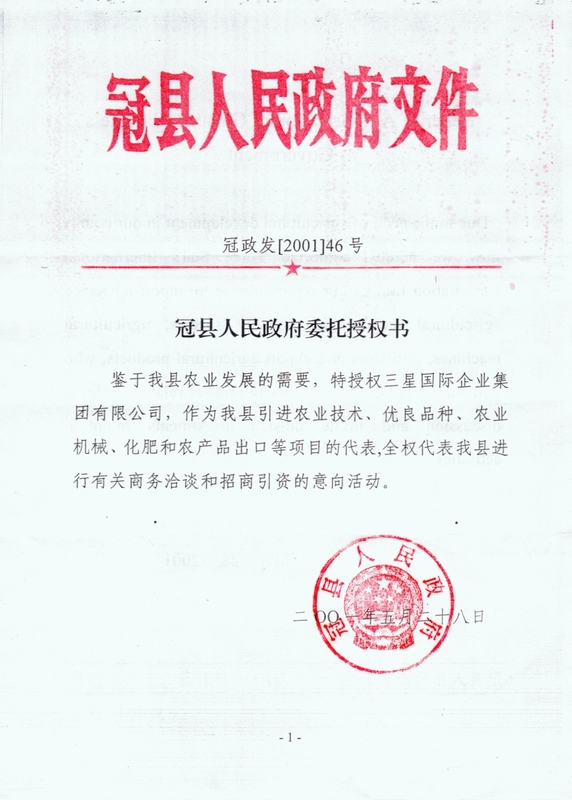 We welcome all kind of cooperation to develop the China agricultural market.